Remember our previous blog post about Woodpecker Partner Program? Back then, the program was in its beginnings. And that was when? In the spring of 2017. Now, we’ve entered the first quarter of 2019, and all of that stands to prove that it’s the best time for those of you to get involved. 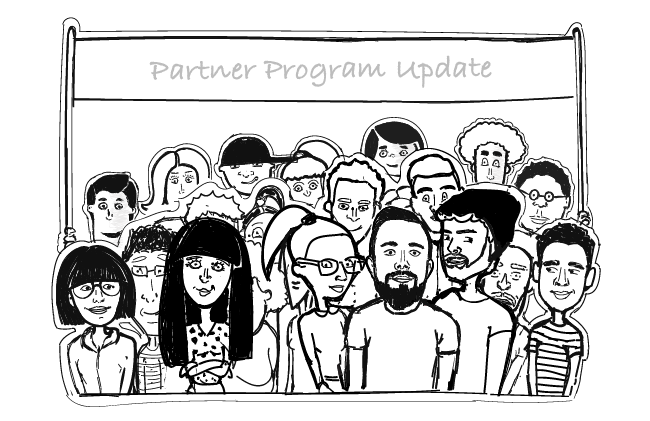 Woodpecker Partner Program was set up after we discovered that many of our trial users come from referrals. Other businesses were recommending Woodpecker, either they mentioned our software during a course they were running or linked to it on Facebook. So we decided to make something that would allow us to track which users registered after somebody recommended Woodpecker to them. We soon turned it into an affiliate program in which all members receive a commission fee for generating new users at Woodpecker. Partners get their own unique links to the sign-up page. It’s due to those links that we can count their commission fee. To learn more about the partner’s commission fee system, check our Partner Program page. How Woodpecker Partner Program has grown since then? We had about 80 partners referring Woodpecker at the beginning of Q2 in 2017. The Program has grown to about 350 partners by the end of 2018. The partners are extremely hardworking which translates into their success in generating a consistent stream of leads from the affiliate links. For some, our Partner Program is a steady flow of income. Who gets interested in Woodpecker Partner Program? Our partners come from many different industries. The majority of them are consultants, online training instructors or growth marketers. They recommend Woodpecker to those who would like to increase their sales figures. Partners said that they like recommending Woodpecker because the app is very intuitive and easy-to-use. They don’t have to spend a lot of time explaining how Woodpecker works. Anybody can jump into using Woodpecker right away and they don’t need to spend the time to learn all the functionalities. Users get it right away. Woodpecker partner program is open to anyone. You don’t need to be a premium user to join. We don’t expect that our partners are paying customers, but it helps to be familiar with the tool to refer it. If you are a customer, we’d be glad to have you on board too. And don’t worry. User onboarding is totally on our side. Apart from regular customer support that we offer to Woodpecker users, our Business Growth team has dedicated themselves to help the leads from Partner Program get full advantage of their trial at Woodpecker. For more details on the program, go to the Partner Program page. To become a Woodpecker partner, just register there or leave your email and Maciej will get back to you.